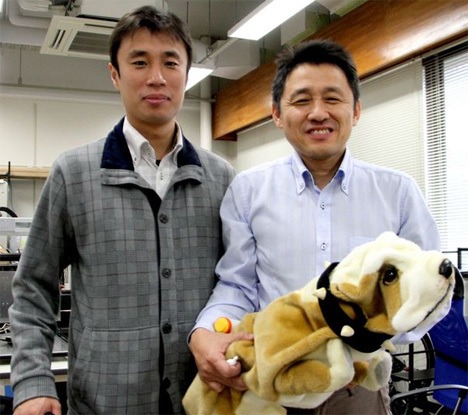 The scientists at Kitakyushu National College of Technology and robot makers “Crazy Lab” really want you to know when you stink. 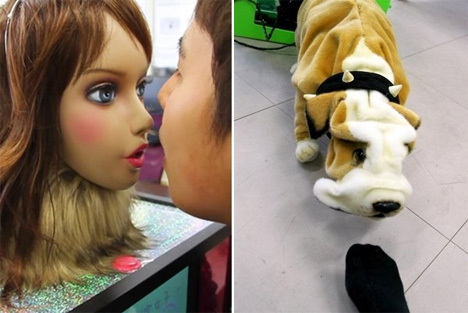 They created two robots that can detect bad breath and foot odor, then tell you in some of the most embarrassing ways possible when you don’t smell of roses. The dog, Shuntaro-kun, is thankfully not endowed with the gift of speech. He will sniff your feet to let you know just how bad the odor is. His reactions range from cuddling up to you (if you happen to have nice-smelling feet), barking (if they’re a bit smelly), falling down and growling (if they’re pretty stinky) or passing out if they’re totally intolerable. Imagine how much nicer the world would smell if everyone had access to brutally honest robots (or humans) who would tell it like it is when it comes to stinkiness. See more in Robotics or under Technology. May, 2013.